If you love a parade, you’re probably enamored of current trends in handling pitchers. Fashion has dictated that starters can leave after five or six innings without disgrace, thus making way for a parade of relievers. From there, one good inning is usually enough to get a “well done” from the manager; in some cases just getting one batter out is sufficient for a pat on the back. Maybe you yearn for the days of yore when complete games were commonplace. Well, you don’t have to go all the way back to the Cy Young era to find a stable of workhorses. In 1980, the Oakland A’s were coming off a dreadful season: In 1979 they had won 54 games and lost 108. The opposition outscored them 860 to 513. The team’s season attendance of 306,763 was the A’s (and the league’s) lowest since 1954, the franchise’s last season in Philadelphia, when 304,666 paid their way into Shibe Park. Across the bay, the Giants, who finished at 71-91, were not exactly packing ‘em in either. The A’s attendance woes were clearly a reflection of their own shortcomings. But the A’s were about to unveil a secret weapon: a new manager named Billy Martin. An East Bay native, born in Berkeley in 1928 and a graduate of Berkeley High School, Alfred Manuel Martin had a reputation for turning teams around overnight and wearing out his welcome just as quickly. Having managed the Twins, Tigers, Rangers, and Yankees (for whom he won two pennants and one World Series), he was arguably just what the A’s needed at that point. Spring training at Scottsdale in 1980 must have been interesting. Perhaps Martin assessed his roster and felt his pitchers had more potential than his hitters. Pitching coach Art Fowler had a long friendship with Martin and had accompanied him to all of his managerial stops. As Mickey Mantle could attest, being a drinking buddy of Martin’s made for some memorable anecdotes. The careers of Martin and Fowler had a lot in common. Like Martin, Fowler was a mediocre player (major league totals: 54-51, 4.03 ERA) with a reputation as a rounder. Both had extraordinary baseball lives but ordinary playing careers. 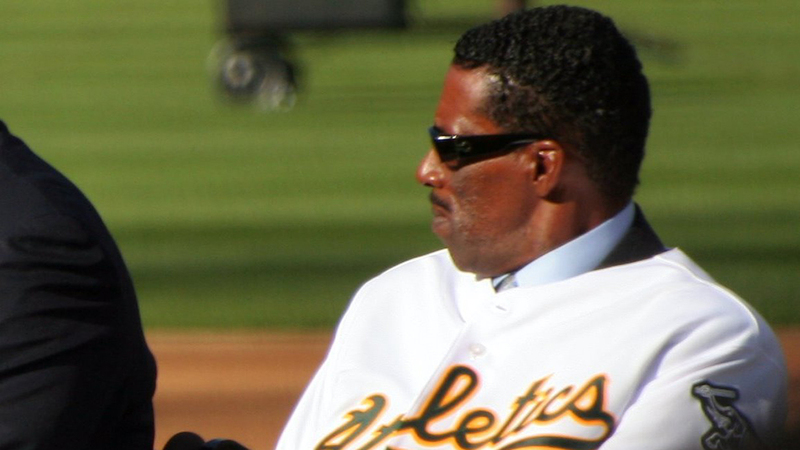 Fowler’s minor league career, however, reveals stamina and tenacity. He labored in the minors for 10 years before the Reds promoted him to The Show in 1954. Along the way, he had pitched 253 innings in 1945, as well as 213 in 1947, 234 in 1948, 241 in 1950, 236 in 1952 and 261 in 1953. These totals are even more impressive when one realizes minor league seasons are shorter than major league seasons. In his rookie year with the Reds, he pitched 227.2 innings, and in his sophomore season, 207.2. In 1961, at age 38, Fowler was a mainstay of the expansion Los Angeles Angels’ bullpen. He pitched for them through age 41. At age 47, he was a player-manager at Triple-A Denver–and doing pretty well, as he had a 9-5 record and a 1.59 ERA. All those innings pitched in Fowler’s youth apparently had little effect on him in later years. This likely convinced him that other young pitchers were capable of similar feats. And in 1980, five of his A’s starters were equal to the task. When all was said and done, these five pitchers had gobbled up more than 85 percent of the total innings pitched by the staff. Only three games (one each by Bob Lacey, Dave Hamilton and Craig Minetto) were started by anyone other than the Big Five. The A’s accumulated 94 complete games (in addition to the 93 completed by the Big Five, Lacey completed the one game he started) in one season. By contrast, in 2018 the grand total for all major league starting pitchers was 42. Among the 30 teams, only five pitchers surpassed the innings-pitched total for Kingman, the least of the Big Five. For the A’s bullpen, baseball was primarily a spectator sport. Obviously, all those complete games didn’t leave much opportunity for the relievers to obtain saves (just 13 out of 83 wins). Lacey was the leader with six. Curiously, the biggest winner, Norris, would not have been voted most likely to succeed at the conclusion of the 1979 season. Though Norris had a career year, Langford arguably had the more memorable season. Like Norris, however, he was not a likely candidate to emerge from the pack. Langford arrived on the scene in 1976 with 23 innings pitched for the Pirates. During spring training in 1977, he was part of a blockbuster trade that sent him, Tony Armas, Doug Bair, Dave Giusti, Doc Medich, and Mitchell Page to the A’s for Chris Batton, Phil Garner, and Tommy Helms. His insertion into the A’s starting rotation was a good news/bad news proposition. The good news was that he logged 208.1 innings. The bad news was that he led the league in losses with 19. The 4.02 ERA wasn’t particularly impressive, but after all, it was Langford’s first full season. The next two years were lackluster (he had a combined record of 19-29), but he did log 218.2 innings in 1979. His 1980 win-loss record of 19-12 record and 3.26 ERA are solid stats, and his 290 IP led the league. But the real standout statistic was 28 complete games in 33 starts. Ironically, on Opening Day against the Twins in Oakland, he couldn’t get out of the fourth inning. On May 23, Langford pitched a complete game and gave up no earned runs but suffered a 3-1 loss to Ferguson Jenkins and the Rangers. It was an inauspicious start to a remarkable streak. For the next four months, Langford finished every game–regulation length or extra-inning–he started. Finally, on September 17 in Arlington, after 8.2 innings, the streak ended when he yielded the mound to Lacey. His consolation prize was his 17th victory. Six days later, he got back in the groove, going the distance in a 6-4 defeat of the White Sox. Four days after that, he pitched a 7-4 complete-game victory over the Brewers. On October 2, he went the distance in a losing (9-4) effort against the White Sox at Comiskey Park. Giving up 15 hits and eight earned runs in eight innings, Langford clearly didn’t have it that day. It’s not as though the bullpen wasn’t well rested, but perhaps Martin wanted to give him every chance to win his 20th game. In the last game of the season, on October 5, Langford’s final attempt to win his 20th game fell short as he pitched 10 innings in what turned out to be a loss (5-4) in a 15-inning contest with the Brewers at County Stadium. It was undoubtedly disappointing, but Langford had achieved something more distinctive. If all of Langford’s 33 starts had lasted nine innings, that would have equaled 297 innings. Langford pitched 290. For better or worse, he was largely in control of his destiny in 1980. Matt Keough probably spent a lot of time pondering his fate. His record from 1977 through 1979 was 11-35. His membership in the A’s starting rotation in 1978 and 1979 had been something of a roller coaster ride. In 1978, his first full season, Martin, managing the American League All-Stars, named him to the AL team. Admittedly, the talent-poor A’s had to have a representative on the roster, but even so it was an honor for a rookie. Keough finished the year with a record of 8-15 but a respectable 3.24 ERA. Better things were expected of Keough in 1979, yet he had a 2-17 record to go with a 5.04 ERA. Only Phil Huffman of Toronto lost more games (18) in the AL. At one point, Keough went 28 consecutive starts without a victory. So when he went 16-13 in 1980, it was quite an about-face, and The Sporting News dubbed him the AL Comeback Player of the Year. Steve McCatty might be the one pitcher whose 1980 season was not a surprise. After brief stints with the A’s in 1977 and 1978, he was with them for a full season in 1979, and the results were not bad: 11-12 and 4.22 with 185.2 IP. So the modest improvements in his win-loss record, ERA and innings pitched in 1980 were not shocking. The only member of the Big Five who didn’t post wins in double digits was Brian Kingman, who won eight, matching his 1979 victory total. Unfortunately, he lost 13 more games than the year before and led the league in losses with 20. His 211.1 IP and 3.83 ERA were hardly deserving of such results, but somebody has to be the hard-luck man in the rotation. He ate his share of innings, but they were largely empty calories. Thanks primarily to the Big Five, the short-term results for the A’s were positive. The won-loss record of 83-79 was a 29-game improvement, and attendance rose to 842,259. Charlie Finley sold the team in August, and many people considered it a positive development as well, albeit one that could not be quantified. There was no danger the Big Five would enjoy another inning-eating feast in 1981, as the A’s strike-shortened season consisted of just 109 games. Yet it seemed their 1980 efforts had borne fruit in 1981. All five starters surpassed 100 innings pitched and amassed 59 complete games (spot starter Tommy Underwood also had one). Four starters were in double figures and on the plus side of the win-loss ledger. The shining star was McCatty, who led the league in victories (14), ERA (2.33) and shutouts (four). He completed 16 of 22 starts. The A’s had the best record (64-45) in the AL West in 1981 and drew 1,304,052 fans. They swept the Royals in the Division Series, but the bubble finally burst when the Yankees swept them in the AL Championship Series. Still, considering how far the team had come since 1979, it was an enormous improvement, and the starters had been largely responsible for it. Then the wheels came off. Or I should say the arms came off, metaphorically speaking. In 1982, the Big Five were still in the rotation, but the results were disappointing. The only winning pitcher was McCatty, and he was only 6-3. Also, he was the only one with a sub-4.00 ERA, and that was 3.99. The team sank to 68-94 and fifth place in the AL West. Predictably, Martin was fired. By 1983, the Big Five started out as the Big Four: Kingman had been sold to the Red Sox, who released him before the start of the season. He signed with the Giants, pitched 4.2 innings in three games, and that was the end of his major league career. He spent 1984 with the Triple-A Phoenix Giants, and that was the end of his minor league career. Of the four who remained, McCatty repeated with a 3.99 ERA to go with his six victories. Langford was 0-4 with a 12.15 ERA in 20 innings. Norris sank to 4-5 in 88.2 innings. His big league career was all but over, though he did make a cameo appearance with the A’s in 1990, pitching 9.2 innings and getting his 58th (and final) big league victory. Keough went 2-3 with a 5.52 ERA in 44 innings before he was traded to the Yankees on June 15. His results with the Yankees were about the same, so it was back to the minors, though he did re-surface in 1985 and 1986 for stints with the Cardinals, Cubs and Astros. Rounding out his career, he spent 1987 through 1990 with the Hanshin Tigers. By 1984, only McCatty and Langford were still with the team. McCatty went 8-14 in 179.2 innings, but Langford pitched a mere 8.2 innings. For the team, the season was pretty much a repeat of 1983, a record of 77-85 and a fourth-place finish. In 1985 McCatty was 4-4 in 85.2 innings, while Langford was 3-5 in 59 innings. The team continued to spin its wheels, again going 77-85 and finishing fourth. McCatty’s career was over, as he finished at 63-63 with a 3.99 ERA (matching his 1982 and 1983 ERAs). In 1986 he went 2-11 in the minors, and in 1987 he went 8-13 with a 2.95 ERA in 174 innings, but it was for the Single-A San Jose Bees. Here endeth the career. By 1986, only Langford was left, but the results could hardly have been more different from 1980. He went 1-10 with a 7.36 ERA and no complete games in 11 starts. The team’s record barely budged (76-86), but the A’s moved up to third place. Langford attempted a comeback with the Triple-A Columbus Clippers of the International League in 1988, and the results were not bad (9-6, 3.13 in 126.2 IP), but the parent club Yankees never gave him a call-up, so he retired at age 36. Under manager Tony La Russa in 1987, the team finished at .500, but the Big Five were just a memory. All had been done in by arm woes. The fate of the five would seem to confirm current conventional wisdom about the sacredness of pitch counts. Given the multi-million dollar contracts thrown around today, it is understandable teams would not want to hand out paychecks to pitchers languishing on the disabled list. Hence the curious contemporary paradox of paying starting pitchers more and more to do less and less. In 1980, however, the free-agent era was in its infancy. I don’t have a clue as to the contract status of the A’s starters in 1980, but I’m guessing none of them was locked into a big-bucks, long-term contract. Norris, for example, was under contract for $40,000. I’m not saying Martin intentionally set up a staff of self-liquidating starters or that he didn’t give a damn about the health of his pitchers. He was just trying to win. Today, we think nothing of seeing a pitcher pulled from a game after pitching six or seven shutout innings. Yeah, he was still effective, but he eclipsed his pitch count limit, so he’s out of here. Case closed. No argument. Barring any sports medicine breakthroughs, another team with five pitchers logging 200-plus innings each is highly unlikely. Finding five in the American League is tough enough. All five members of the A’s 1980 rotation would be in the top 10 major league innings-pitched list for the 2018 season. But that doesn’t mean stamina is a thing of the past. In 2018, no team had five starters with 160 innings or more. The closest to the A’s standard of excellence was Houston, which had four rotation members with that many innings pitched (Justin Verlander, Dallas Keuchel, Gerrit Cole, and Charlie Morton). All but Morton topped 200 innings, a rare feat these days. Also with four starters who logged 160 innings or more were Cleveland (Corey Kluber, Mike Clevinger, Carlos Carrasco, Trevor Bauer) and Seattle (Mike Leake, Marco Gonzalez, Wade LeBlanc, James Paxton). You could add to the list the Cubs if you count Cole Hamels’ less than half a season in Chicago, and Atlanta (ditto with Kevin Gausman). The Red Sox and Dodgers, World Series participants, had two and one pitchers in this category, respectively. The A’s, descendants of Billy Martin’s horses, had just one, barely over the line. In sports, as in life, we often fall victim to rising expectations. Yet under some circumstances, lesser achievements might be as remarkable as greater achievements in days of yore. In the case of starting pitching, we might have to accept the fact that the standard of excellence is going backwards. But as the Astros, Indians and Mariners have shown, excellence still exists. what a time. makes me wonder what those guys (or someone like Vida Blue) could have done if they weren’t thrown out there to complete nearly every start. Rest of team combined for 16 total GS and 1CG. That is 142GS and 70CG among 4 pitchers who all had nice MLB careers. Brian Kingman blames Billy Martin for blowing out his arm and destroying his career. This is something that is often missed by the people who yearn for the good old days of starting pitching. Worth a footnote: Bob Melvin’s 2003 Seattle Mariners. The five starters (Jamie Moyer, Ryan Franklin, Joel Pineiro, Freddy Garcia, Gil Meche) made all the starts for the season, and all but the #5 (Meche) cleared 200 IP (the five accounted for 71% of all the team IP). Two years removed from their 116 win season, naturally the M’s 93 wins put them in second place in the AL West… behind the 96-win A’s.